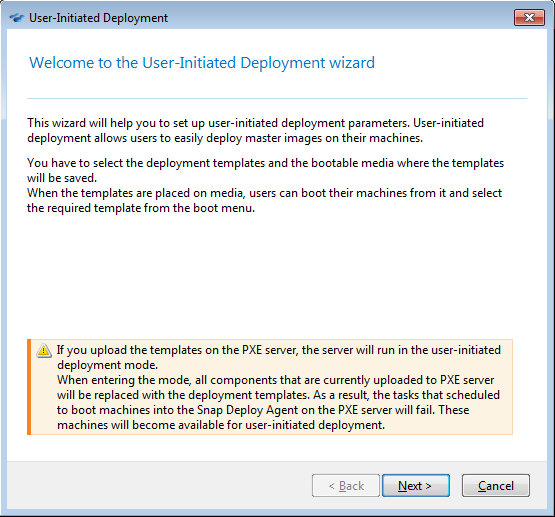 When enabling or configuring the user-initiated deployment mode with Acronis PXE Server, the software first removes all bootable components (Acronis Snap Deploy 5 Agent, Acronis Snap Deploy 5 Master Image Creator, and the PE image) from the PXE server, because users might be confused by the unknown items appearing in the boot menu. 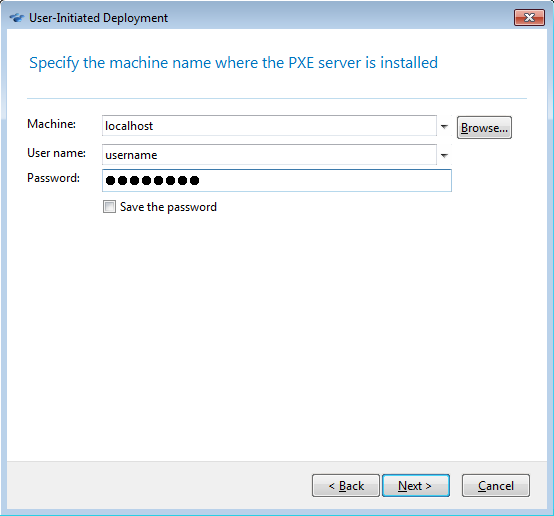 Then, the software uploads to the PXE server the templates selected by the administrator. So you will have to upload the bootable utilities again, if they are needed after switching off the user-initiated deployment mode. 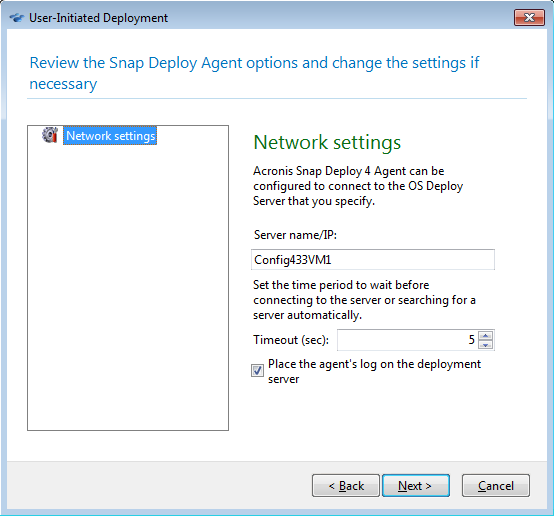 See also Acronis Snap Deploy 5: Creating Deployment Template.